Venice is home to owners Jorge “George” and Barbara Martinez who started G-Man Home Watch following careers in the Federal Bureau of Investigation (FBI). The name “G-Man Home Watch” is a play on the slang term for FBI Special Agents dating back to the 1930s. Together, George and Barbara bring over 60 years of dedicated experience in law enforcement and property protection to this business. Florida has always been their retirement dream location and over the years they visited various parts of the state before discovering the Venice area. They fell in love with the sunny weather, friendly residents and the numerous educational and recreational activities Venice has to offer. George and Barbara know the wonders of vacation home ownership. They also know what it is like to wonder from afar how well your home has weathered a recent storm. Even worse yet, what it is like to return to paradise only to find damage due to a broken air conditioner or pipe. Combining their personal experiences with their dedication to serving and protecting the public is where the idea of G-Man Home Watch got its start. The owners of G-Man Home Watch want their clients to see them as their most trusted neighbor and feel comfortable knowing their home was being well-cared for by responsible and reliable team while they are away. 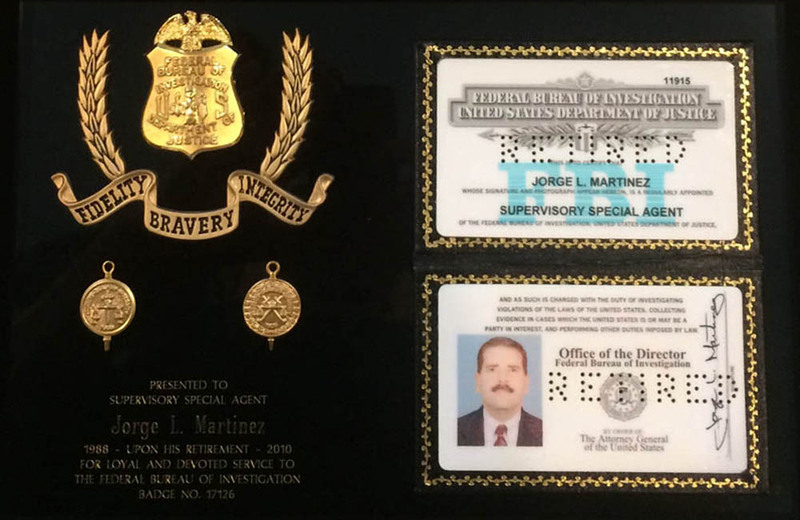 George is a veteran law enforcement officer with 8 years as a local police officer for the Skokie, Illinois Police Department where he served as a Patrol Officer, Evidence Technician, Field Training Officer and Crime Prevention Officer. He joined the FBI in 1988 and served 23 years as a Special Agent and Supervisory Special Agent investigating criminal and terrorism investigations. His credentials highlight excellence in areas of theft and property crime prevention and investigation as well as physical and personnel security. During his FBI career, George received numerous awards and commendations from three FBI Directors for criminal investigations. He was also recognized by the United States Attorney’s Offices in Districts of Columbia, Maryland and Virginia for outstanding investigative efforts which resulted in multiple indictments and convictions of subjects. In his final assignment, he was responsible for developing, implementing security procedures and control systems and methods for protecting personnel, facilities and classified and sensitive information for over 600 employees and contractors at 12 locations. George retired in 2010 and worked as a Program Director for ICF International leading a cadre of staff members in support of the Department of Homeland Security, United States Citizenship and Immigration, Fraud Detection and National Security Directorate. Barbara is also a retired Special Agent/Supervisory Special Agent of the FBI with over 33 years of service specializing in criminal and terrorism investigations. Barbara’s distinguished career included notable undercover assignments in organized crime and narcotics investigations. She was a member of the FBI’s Evidence Response Team and participated in high profile cases including the investigation of the Unabomer and the 1996 Olympic Bombing in Centennial Park. She was among the first FBI Agents trained to collect evidence involving hazardous materials such as anthrax which was mailed to locations in Florida during the Amerithrax case. 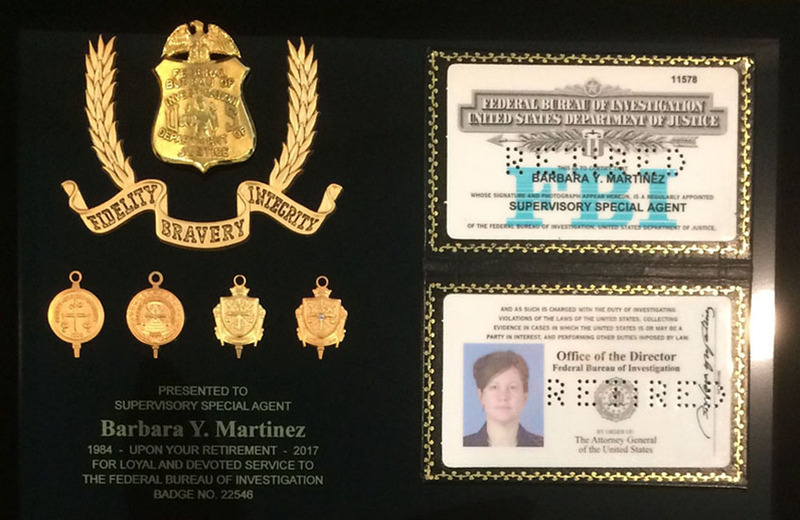 Barbara worked to bring life-saving equipment to First Responders across the country as the Unit Chief of the Weapons of Mass Destruction Operations Unit. After 9/11 she led a Joint Terrorism Task Force in Richmond, Virginia, which successfully neutralized terrorist plots afoot only 90 miles outside Washington, DC. In her final assignment, Barbara developed national policy, in partnership with the Departments of Homeland Security, Defense, State, and Justice to counter improvised explosive devices (IEDs) used against American interests at home and abroad by terrorist organizations and affiliates. Together this husband and wife team bring over 60 years of trusted experience, accountability and a keen eye for detail. George Martinez, co-owner of G-Man Home Watch, has earned the designation of “Certified Home Watch Professional” through the National Home Watch Association (NHWA). Certification is achieved through the completion of a training curriculum and examination based on the NHWA’s Best Practices and input from leading Home Watch business owners throughout the United States and Canada. Certification lets the public know of a Home Watch professional’s commitment to excellence, by upholding the very highest of standards in the Home Watch industry. We offer discreet, dependable, and documented services tailored to fit your needs; all at affordable rates.